I felt a lot of things today but ....not fear...fear is for another day. So I drew man-thing...at least, my version of him. 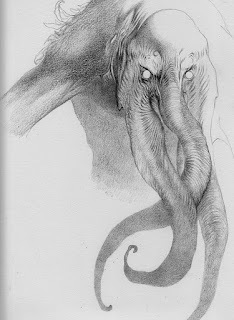 Looks like Man-thing mets Cthulu! I found your blog via io9.com. Damn, you're good!